It’s as if they PURPOSEFULLY put dialogue like this in! 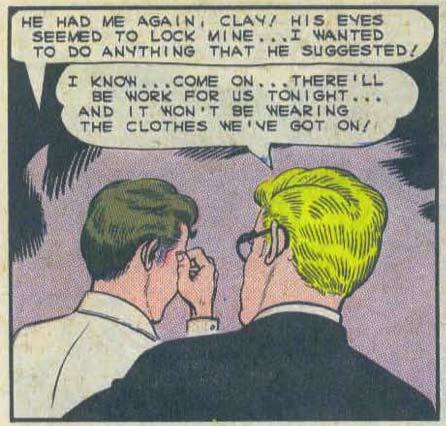 Another thrilling adventure lies ahead for… The Gay Avenger and Pantyboy! I’m with Doomed Pixel. There has to be something going on with the writers. Wow, I feel dirty just reading that. Dr. Wertham was right. We are horrible people for loving comics.